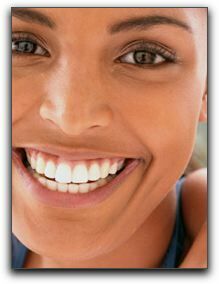 There is nothing like bright white teeth that light up a person’s whole face when they smile and laugh. No one has to settle for dull, yellow teeth. Not when there’s professional teeth whitening at Providence Dental in Las Vegas. If you have an important upcoming event such as a wedding, party or formal family portrait sitting, teeth whitening will give you extra confidence as you pose for photos (even close-ups). You have probably seen the porcelain tabs in graduated shades that dentists use to determine appropriate, yet natural looking, shades for tooth restorations. Our teeth whitening can whiten teeth beyond their natural shade. There are now shade guides with levels significantly whiter than the guides used in the past. Tooth whitening is not a gimmick; it is safe and very effective. Teeth whitening patients can maintain a white shade that equals the brightness of the ‘tooth’ models you see in dental marketing. Teeth whitening at Providence Dental in Las Vegas will do wonders for your smile. We also provide pediatric dentistry. Schedule an appointment today.